Original story posted in HGEL’s Huffington Post LA blog in November 2010. The farm-to-table movement has transformed the way we think about and consume food in this country, both at home and in restaurants. Now this terrior (originally a French term in wine to describe the grape’s “sense of place or earth”) approach has created an extreme locavore movement – not just farm-to-table but garden-to-table – where many restaurants are planting their own gardens on site. You can’t get more local then that! A few years later and garden-to-table is no longer just the chef’s territory. Bartenders want some of the agronomy action too! 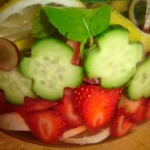 That’s right – garden-to-glass…the produce-driven cocktail! and even growing them in their own gardens as HGEL does at Post & Beam in Baldwin Hills and at The Cook’s Garden by HGEL on Abbot Kinney in Venice. There’s no doubt…this ‘hyper-locavorism’ ensures that these artisans have the most local and fresh botanicals at their disposal to fuel their cocktail creativity. Mixology is becoming closer to the food world. Just as restaurants design their gardens with their menus in mind, mixologists are thinking more like chefs creating drinks based on the garden’s seasonal bounty and even pairing them with dishes. These bartenders speak with as much pride as their chefs do about the origin of the ingredients in their concoctions. “I go out every afternoon, to pick the freshest herbs, vegetables and whatever else the garden is offering that day. It changes every day…and I love it! It feeds my creativity.” says Blake Donaldson, mixologist and creator of TheDrinkChef.com, an online ‘how-to’ for the rest of us striving for cocktail nirvana. 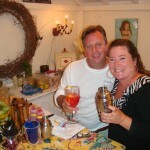 It is the homegrown simplicity of this newest trend in cocktail making that is so appealing to the home ‘mixologist.’ Just as the home gardening craze swept the country recently – increasing after the start of the recession – our search for more home-centric, artisanal entertaining has intensified as well. We have had some success in growing more of what we put on our own table so, we wonder, why not also grow what goes into our celebratory glass? The wonderful surprise is that many times, those ingredients are plants we’re already growing in our yards! But, if your starting with a blank slate, an empty spot in your yard, the obvious question is “where do I begin”? 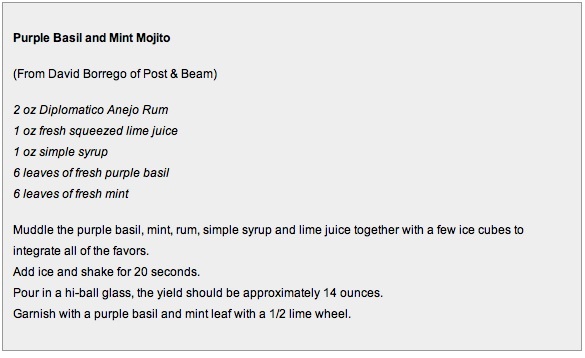 What are the most requested concoctions at your gatherings? Martinis? Margaritas? Once you understand the taste of your foundation liquors, you’ll be better able to select edibles that will compliment and enhance them… think the way chefs approach their culinary creations. Think umame (a fifth taste sense that translates as “savory” or “flavorful”. It’s that rich, deeply satisfying, sensual taste). For instance, sage (an aromatic herb) goes well with both gin and vodka. Fennel having that distinct anise flavor also pairs well with gin’s botanical undertones. • any many, many more…use your imagination! Go ahead…type in any of the edibles listed here into your search engine, add the words ‘cocktail recipe’ and hit GO! You’ll see tons of recipes pop up! 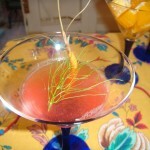 Gin infusion garnish with pickled baby carrot and fennel sprig – think umame – the combination of sweet and sour or savory! – Adding organic matter (compost/humus): Organic matter in soil is the storehouse for the energy and nutrients used by plants and other organisms. Bacteria, fungi, and other soil food web dwellers transform and release nutrients from organic matter therefore replenishing soil with organic matter periodically is essential for a vital soil food web. – Avoiding the use of pesticides (even organics): Pesticides, which include plant killers (herbicides), bug killers (insecticides), fungi killers (fungicides) and bacteria killers (bactericides) also kill related and often beneficial organisms. While each application may impact only a few species, the cumulative effect repeated pesticide applications is a reduction in the numbers and diversity of soil organisms. – Mulch: Letting litter accumulate on the soil’s surface or by adding low-nitrogen fibrous organic materials like mulch, straw, brown leaves, etc can maintain fungi. – Do not apply synthetic fertilizers: Synthetic fertilizers break the relationship between plants and soil organisms. – Climate: Becoming aware of your area’s climate is an essential part of being successful in growing anything. What are the high and low annual temperatures? When (if at all) does your area get its first and last frost? How much natural rainfall can you expect? All these details will paint an overall picture of the climate conditions in your area that will dictate when and if you can grow the plants on your list. In addition to knowing your surrounding area’s climate, you’ll need to get to know your planting sites microclimates. A microclimate is the climate of a small area that is different from the area around it. It may be warmer or colder, wetter or drier, or more or less prone to frosts – a protected courtyard next to a building, for example, that is warmer than an exposed field nearby. Ok, so now you’ve done the thinking and dreaming about the potential of your cocktail paradise. Now it’s time for the dose of reality – what is your budget? Buzz kill, right? Remember, you can grow a lot out of a little space so, no worries. 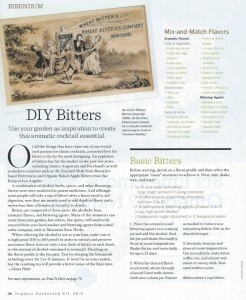 Your garden, big or small, will get you to the same place – cocktail nirvana! Here’s were you decide if it’s a whole potager garden, a single 4×6 raised bed or containers on your balcony. Whatever size it is, if it gets you out there digging in the dirt – it’s the grandest garden anywhere! Visit garden centers with your planting & supply list and get pricing information on these items. Google online sources for containers, raised bed kits and seed catalogs. And now all that’s left to be done, is DOING IT! 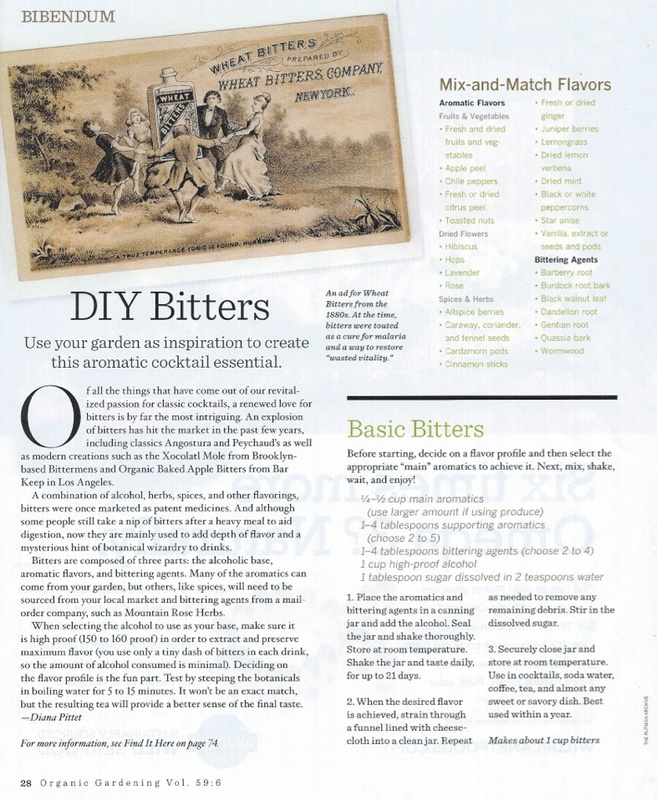 Go Ahead, get gardening and be enjoying your homegrown artisanal cocktail in no time! Please see the companion piece to this blog post – Well Infu-use me?…Now it’s Legal? Pour into a cocktail shaker, shake until cold and serve in a martini glass with any garnish you like! 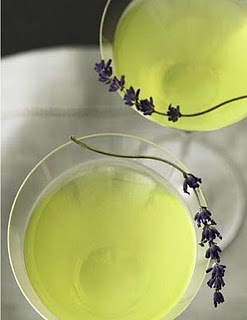 Pour into shaker and shake until chilled and serve in martini glass with any garnish you like! NOTE: After the infusion has steeped, replace the fruit and herbs with fresh ones in your beverage server for a garden-fresh look! Interesting article from The Wall Street Journal about “produce-based” cocktails! 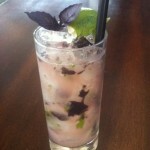 Post & Beam featured in KCRW’s Good Food Program on 6/30/12! The latest thing in mixology – SHRUB COCKTAILS! 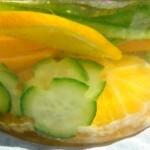 Move slider to 3:20 seconds to watch the portion of this segment on infused waters.